You might hear that we live in the times of the fourth industrial revolution. It is characterized by a total digitalization or implementation of computing innovations in multiple areas of a human life. Nevertheless, the notion of revolution in terms of technologies does not mean an absolute shift to some state-of-the-art advances. In fact, it lies in the improvement of the accustomed solutions used in manufacture, household, entertainment, transportation etc. The following text will introduce you to a widespread technology that is not esteemed in a proper manner by the population. It refers to an electric linear actuator and its application scope. 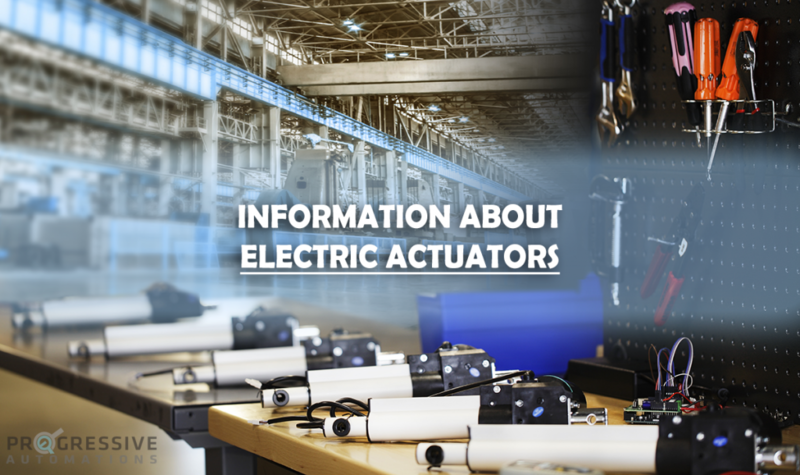 1 What Is an Actuator? The word electric is understood. ATST, the point “What is a linear actuator” demands an additional explanation. People use actuators to move something. Therefore, to move some freight or cargo along a vertical or horizontal straight line characterizes the notion of linear. Moreover, the peculiarity of utilization of the said technology foresees various meanings of an accustomed movement such as to close/open, lift/descend, push/pull, block/eject and so on. You will be surprised to know the abundance of these mechanisms encountered in a life of a regular individual. Naturally, other industries as manufacturing, robotics, healthcare, automotive production and others take advantage of the said structure. The present topic has one character namely the electronic version of the said mechanism. Nevertheless, a variety of actuators types is really impressive. As a rule, the major differentiation principle rests upon the power. For instance, a mechanically driven device is inherent to the mechanical type. On this analogy, there are also hydraulic (liquid), pneumatic (air), and piezoelectric types of these useful devices. Naturally, different types of actuators vary by benefits and implications. The focus of the present article is made on devices driven by electricity. However, in addition to regular electric mechanisms, such types of linear actuators as electromechanical and electromagnetic are also included. This category offers the most convenient and universal drives. They are easy to connect due to prevalence and availability of network and autonomous sources of electricity. Installation of electric power supply systems including distributing of power and managing chains is simpler than laying of hydraulic and pneumatic lines. The entire system of the electric drive, as well as its separate elements, is compact. If the equipment needs to be upgraded, it is not complicated to replace pneumatic and hydraulic cylinders with its electric analogs. Electric drives have a larger energy efficiency in comparison with the competing solutions since they provide a direct transformation of power (from electric to mechanical). Moreover, the energy consumption in standby is subtle. The bulk of mechanisms have a decent protection from environmental protection (IP classification). On the other hand, they do not emit gases, liquid and solid particles in a working environment. Safety of electric drives is supported by the blockage of movable parts upon power off. A parallel manual drive is possible to install for emergency cases. Nevertheless, the main praise of electric type is an excellent controllability. Positioning is provided with the highest accuracy and repeatability. The speed is regulated over a wide range. Step engines can be programmed on a difficult multi-stage movement according to a certain algorithm. Due to the implementation of feedback coupling, servomotors enable to track the current movement parameters and control it taking into account this data. If necessary, the electric drive can be easily recustomized under new tasks. Therefore, it is difficult to find an alternative to electric drives at modern productions, automatic transfer lines, robotics and other relevant applications. Though the price of linear electric mechanisms is higher in comparison with its hydraulic or pneumatic analogs, operational expenses are much lower. A required amount of works to service the devices, as well as the labor input and power consumption, is also reduced. Energy is not the only condition to differentiate the technology. The design type is important as well to consider for versatile functions and tasks. The most accustomed design option is a screw type linear actuator. A nut rotates and moves a screw shaft. Moreover, various versions of the thread type provide the subsequent breakdown of mechanisms. A screw acts as an interlink in this design. The revolving of the screw induces an onward motion. Typically, high force linear actuators are not implemented in such design due to large power losses in the friction surface. Thread design is another significant factor in the scheme. Today, the ACME type is the most widespread due to its maintainability in comparison to other geometries (square and triangular). ACME is characterized by a trapezoidal shape. The friction is reduced by means of the replacement of the screw with ball bearings. This design is a fit for applications demanding high accuracy. Nevertheless, a mechanism of this scheme is not as cost-effective as an ACME screw linear actuator. 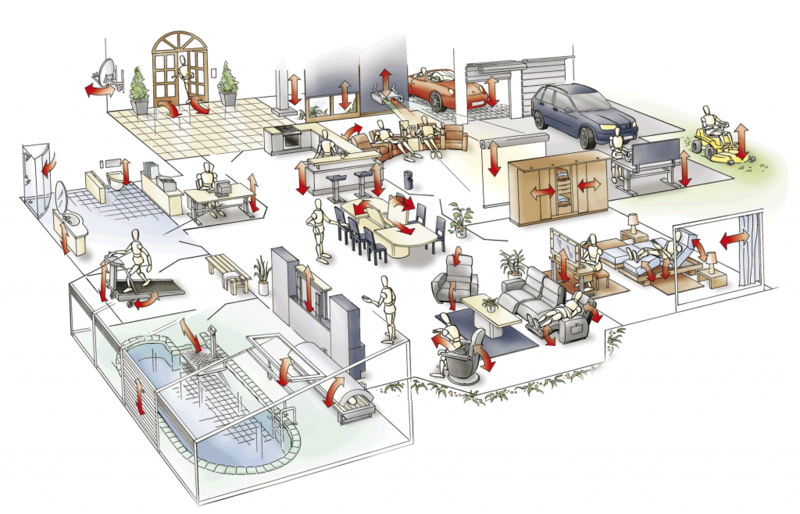 The minimum value of energy loss is achieved at this type of solution. It offers a rather complicated design that results in an increased price. Nevertheless, it combines such peculiarities as a high accuracy and a heavy load. This linear actuator working principle rests upon the use of rollers as the load sharing components. Done with the screw as the linkage. The next type includes actuators using a loop-shaped flexible material to force movement. It refers to the belt, which transfers power from the lead unit to the driven wheel. The major attraction of this design is a relative simplicity and cost-effectiveness. Besides, maintenance will not cause many troubles. Nevertheless, the core element of the structure is also the most vulnerable part. In the course of time, it stretches. If you have a vehicle, you might understand the principle of a gear drive. If you don’t, here is the explanation. Gears are the elements to transmit power from the movable element to the static one. As a rule, these elements are intake and take-off shafts. Both above said types of drives have a common flaw – the power is lost because of the availability of the interlink. At the same time, if you exclude an intermediate element, you will have no losses. Such design can be found even in household appliances like a fan or a laundry washer. The final category of actuators design is a rod type. A metal thin-wall tube with a thread is the core part of the scheme. The tube is the pulling and pushing component of the design. The movement is performed at the expense of the revolution of a rotor that transmits power to the tube via the screw gear. The difference between these styles of mechanisms lies in the end action. Rod actuators perform pulling or pushing actions. Structures without the rod just move along the carriage. Actuator manufacturers invent various solutions to fit certain requirements of versatile applications. On this account, technical specifications act as a kind of possible utilization of the technique for a particular task. When we mention this type of equipment, the following parameters or characteristics are the most topical ones. A linear actuator long stroke is neither advantage nor flaw. Everything rests upon the needs. This term shows the extension length of the unit. An accustomed measuring unit is inches (centimeters). If your task is to lift or shift 300lbs of cargo, the very characteristic is what you need to consider. Though the physical notion of the force is calculated in N, it is converted to pounds or kilograms for a practical convenience. Divide the full actuator stroke by the time spent to extend at a full length and you will obtain the speed rate. Producers utilize such measuring units as inches (centimeters) per second. Some equipment cannot be used without interruption. The mentioned value shows the periodicity of the correct employment. The linear actuator duty cycle is expressed usually in percentage terms. This parameter stipulates the energy supply options. In fact, it stands on the drive type namely a DC or AC motor in the mechanism. This term has already been mentioned above. It originates from Ingress Protection Rating. The letters “IP” are combines with numbers indicating the class of protection from dust (first number) and water (second number). The theory is almost useless without practice. On this account, the linear actuator applications in miscellaneous areas of life and production should be mentioned. Have you ever thought about ejecting principle of your TV lift or a DVD-drive? These elements operate by virtue of the benefit of electric actuators. In fact, everything that you utilize to move or lift using a wireless or wired control box is tied to the said technique. This scope of actuator applications is the widest among others. In fact, almost any industry utilizes this useful structure for own needs. Naturally, the tremendous requirements in loading capacity result in choosing pneumatic or hydraulic analogs of electric actuators. Nevertheless, the high-accuracy applications cannot do without the electrically driven mechanisms. This particular area is one of the frequent users of the described technology. 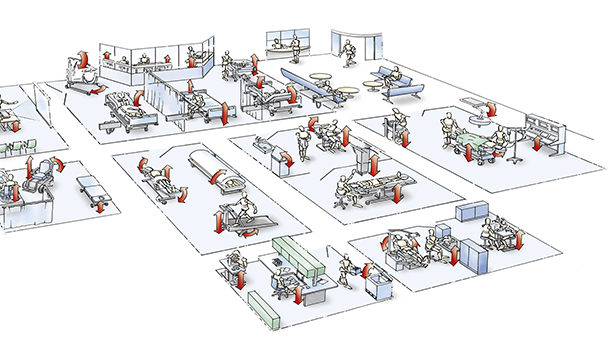 One can experience the application of actuators in multiple devices and facilities related to the healthcare industry. Are you skeptical? Therefore, have a look at the following examples: treatment chairs, incubators, dental chairs, electric patient lifts, stretchers, wheelchairs, nursing home beds, home care beds, electric couches, hospital beds, electric-driven tables, bath lifts and so on. If you still doubt in the importance of the described technology, the final arguments will definitely change your mind. A contemporary life is difficult to imagine without such component as 12v linear actuators. The practicability of this technique is at a high level for both daily routine and industrial application. If you dislike electric drive, nobody forbids you to choose another type of device for your demands. Their optionality allows adjusting various options. The already mentioned industrial revolution 4.0 foresees versatile technological innovations and their combinations. Though the said technology is not a novice, it is an integral part of the current technological progress. If the previously described examples of applications are not sufficient, keep in mind that the modern robotics utilizes actuators to a large extent. I suppose, no other evidence is required. In fact, this type of technology is one of the most undervalued achievements in recent years. Despite its prevalence, some people do not even know about the existence of actuators. Nevertheless, these devices perform their functions and make our life better. Such wide application in multiple areas of life and industry is possible due to a relative simplicity of the mechanism design. Naturally, there are some complex models with refined functionality. Nevertheless, the working principle of most electric actuators is understandable. 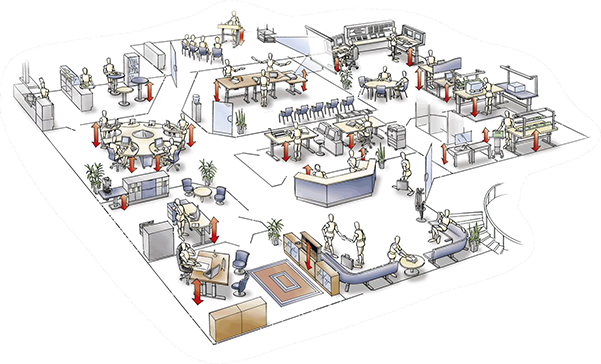 The employment of the described technique is the proper way to provide cost-effectiveness at your facility, factory, or other business. I suppose that this small intro to the world of electric actuators has given you some useful information to consider. Perhaps, some of the readers would like to take benefit for the actual use of the described techniques for own needs. In any case, these devices exist and develop to improve their functionality for human comfort.